Columbia Horse Center has been around for many generations. We always enjoy seeing mom's come down the driveway with their daughters, telling them stories of when they rode with us as a kid. Being part of the community is important to us and knowing that we offer a safe and fun place for the next generation to learn how to ride horses is very rewarding. Getting positive feedback from our students reminds us that we are on the right path and continuing to make dreams come true. We are thankful to all of our students over the years and can't wait to teach the grandchildren of our original students. We are honored for being a staple of the Columbia area over the years. Thank you to everyone that took the time out of their busy schedules to write and let us know how much you enjoyed riding with us. • My son has recently been begging me to go see horses at a farm. A Friend of mine was kind enough to recommend that I look into the Columbia Horse Center. She also said wonderful things, almost too good to be true, considering the bad experiences I'd previously had going to stables growing up. After a week of non-stop begging from my son, I decided the least we could do is drive by. We drove to the center and I decided it wouldn't hurt if we sat in the parking lot and watched the students riding. When we pulled up there was a nice little visitor viewing area right there at the parking lot. I took a chance and decided to sit there and watch with my son hoping not to upset anyone. To my surprise, not only were the other parents that were watching EXTREMELY kind and inviting, they were very nice to my 5 year old son who has a social delay. When the student riding closest to us came up with her horse (Melody, the horse I believe), the Instructor Kasia welcomed us with a smile as well and asked if my son would like to come pet the horse. I was completely delighted to see how kind just those few people we met were without questioning why we were there or telling us we needed to leave. My son was super scared of the horse at first, but they were so patient. The students mother was so kind to my son and was able to encourage him to pet the horse. Then Kasia told us we should take a walk down to the stables and if we were interested, to stop by the office to see Debra. We walked right in and were instantly greeted with a warm, polite smile by Debra. She gave me a paper with some information in regards to their Saturday intro lesson. While we were in the office to my delighted surprise again, another rider came up to my son and offered to show him the horses in the stables. He walked down the stables that has all the lesson horses and each and every one was super sweet. The mother who was sitting with us at the visitor pavilion was now in there with her daughter and offered to share some carrots with my son to feed the horses. He was thrilled, to say the least. Another sweet little girl no more than 10 was hanging out in there as well while her mother was there for a lesson. My son made friends with her and she also guided him around. When we got back to the front, we were once again greeted by Debra who kindly sat with me on the benches as my son and his new friend watched the evening classes outside in the ring. She then patiently took the time to show us around even more, going over the activities they offer that are available to my son and even myself. I used to ride when I was a child, but haven't been in over a decade. Debra was also kind enough to take my son into the private stables to show him her horse and feed him a treat. She told us anytime we'd like to come give the horses treats we were more than welcome to. We ended up turning a quick visit into a 2.5 hour visit. I was just beside myself at how kind and patient everyone was with not only myself, but my son, who has an extremely hard time siting still and paying attention. I would absolutely recommend this facility to anyone looking for a place to spend time with horses and learn. I cannot stress how kind, inviting, and PATIENT everyone was. This place is definitely a diamond in the rough and my son and I will absolutely make it a habit of visiting and hopefully taking lessons. • Our son has never enjoyed anything more than coming here!!! 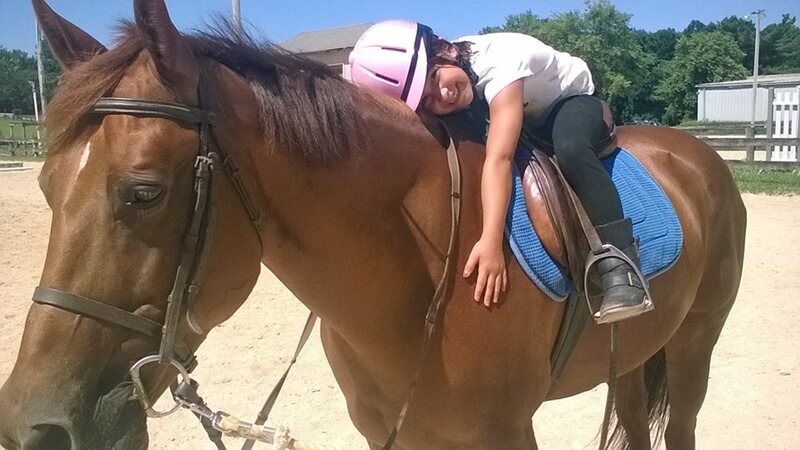 • My daughter attended her first week of horsemanship camp this week and absolutely LOVED it. I can't say enough about this horse center. The staff, horses, cleanliness, equipment, and upkeep of land far outweigh any other stable or center that I have looked at for my daughter to go to camp or have lessons. • Best time of my life and I will cherish those memories forever! Thank you for giving me those experiences! • Friendly people and friendlier horses. A wonderful place to come for lessons or just to spend some time with some of our equine friends. Come visit a horse's world and enjoy the peace and serenity that comes with that. It's also a whole lot of fun! • I am honored to have known CHC for most of my life, and spent numerous years teaching there. You will not find a better place full of outstanding people and instructors. Not only will you gain an excellent foundation in balance seat riding, but you will make lifelong friends in a family atmosphere. I am fortunate enough to now live near Wellington, FL and the prestigious Winter Equestrian Festival where I see riders who could learn a thing or two from the CHC trainers. • My daughter and I had an amazing time here yesterday and can't wait to go back!!! • My girls have been riding here for about a month now. We love the option for homeschool lessons and the staff has been incredibly friendly. The facilities are clean and organized and the school horses are very mild tempered. 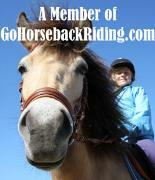 We are so happy here and I highly recommend to new and more experienced riders alike. • My daughter finished her second year of a summer camp session here. She loved every day. The counselors were great and they always put on a cookout after the last day's performance. • Good barn to take a lesson at and the horses are super cute and friendly too! • Everyone is so kind. We have been riding here for years and will continue to do so. • Great lesson for first time riders. The instructors were very helpful and the horses were all very calm. Affordable as well. • I have been riding here for 3 years now and I love it! Over those few years I have had a few different instructors and increased my riding from once a week to 4 times a week. (two lessons and 2 solo rides with the lease program). There is a wide variety of instructors and horses, and they've helped me improve my riding a ton. I haven't gone to any shows off property (so far just the in-house and on property schooling shows for me), but they do have show teams that trailer to shows and have special lessons together. They also have a lot of events for the kids and older riders to meet up and socialize. There is a Halloween Party (with a pretty extensive haunted house), a Christmas Party (Santa and Mrs. Claus in on horseback), a Beach Party and few others. The lease program also goes on trips together, recently to Gettysburg for a guided trail through the battlefield. I couldn't be happier with my choice of barns! It was originally a choice made because of the barn's proximity to my house, but I've grown to enjoy spending a large chunk of my free time there. • LOVE IT!! !...6 years strong! Found my best 'Bubba' (Denver) here... going nowhere! • We did an introductory lesson with a Girl Scout troop and it was FABULOUS!! The lesson was very long and the girls with out with the horses practically the entire time. The observing parents and all the girls who participated were very impressed. The instructor was very informative and kept a group of thirteen girls, age 7, interested and alert the whole time. The first question from one of the girls was, "when do we come back?" ALL of the thirteen horses looked to be in stellar physical condition. The girls were all beginners and had no problems riding any of the horses. I highly recommend their introductory lesson - SOOoooo.. worth it! They even give you a coupon for future lessons. We are starting a 2-week camp tomorrow and we are very excited! I'll review again after the camp! 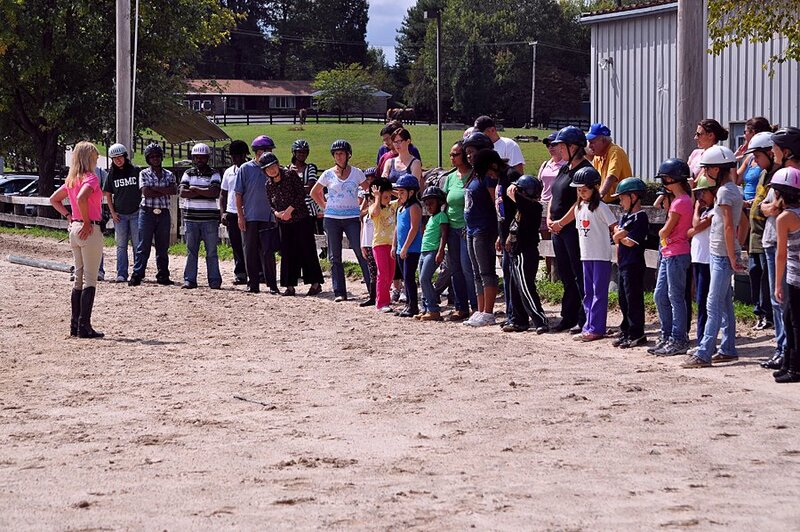 • My daughter attends Pony Pals classes (she's 7) and some of the camps. This is a wonderful place. Great instructors and horses. • So glad Howard County has managed to hold on to this icon. Great for families to have this fantastic facility available to them! • I have been riding at Columbia Horse Center for about a year and a half and I absolutely adore it! Started riding as an adult with no previous experience - they work with all ages and all skill levels. I have a great instructor and I love the horses here. No matter what kind of mood I'm in, I know when I leave CHC I will be in a good one. CHC has a great community feel - the facility is very nice, large and clean. The horses are well taken care of and in good hands. The staff is always friendly and helpful. So glad to have the barn so close to home! I highly recommend CHC if (or your kids) are interested in learning more about horses and riding. • CHC is a great place to learn how to ride. They have a wide range of different horses too which is nice. • We have love everything about CHC for the last few years since we started riding here. It has a great staff and awesome horses. • The CHC has been a terrific introduction to riding for our 7 year old daughter. She was in mourning when camp ended and is soon to go back for winter camp. • It's the best farm in Laurel! • My daughter took lessons here for three years and loved it. Now, our foreign exchange student does and also found a great teacher that is helping her improve her skills. Wonderful variety of horses to fit the needs of the students. People are also very nice and accommodating. Thank you to all of our student's over the years.